It often feels like the way movies are promoted in Japan are...peculiar. But Japanese moviegoers do complain about how posters are changed for their market. The same goes for commercials. 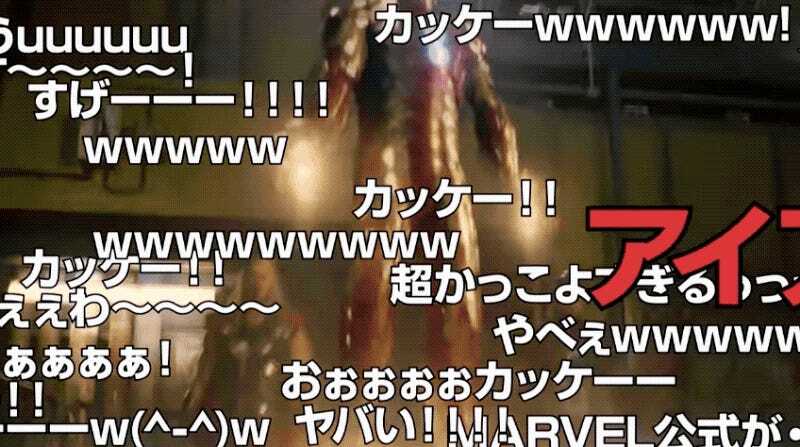 Walt Disney Japan has released a series of ads for Avengers: Infinity War that awkwardly riff on Japanese internet culture. There are announcers saying “Very, very cool!” and making net references and bad puns. The clips’ streaming comments (see above) look like something out of Japanese video platform NicoNico Douga. The clips seem aimed at people who are net savvy, but are unfamiliar with Marvel’s superheroes and gives a quick intro to each in the most annoying way possible. The point is to drum up interest in the movie, but these recently posted clips are racking up the dislikes with online commenters calling them “awful,” “crappy,” “juvenile,” “uncool” and “irritating.” They are correct!